Renal ultrasound and Doppler studies remain vital diagnostic tools in the evaluation of common renal disorders. It is a non invasive and radiation free tool, which provides anatomical and functional information not provided by other modalities used in isolation. It is a first line tool for many suspected pathologies and is a valuable complementary tool to other modalities. Renal imaging with radio isotopes, or renal scintigraphy, allows the quantitative evaluation of renal function and urodynamics. Measurement of split renal function provides essential information in various situations of clinical practice. Angiotensin-converting enzyme inhibitor renography makes it possible to detect patients with renovascular hypertension and to predict improvement of hypertension after revascularization. 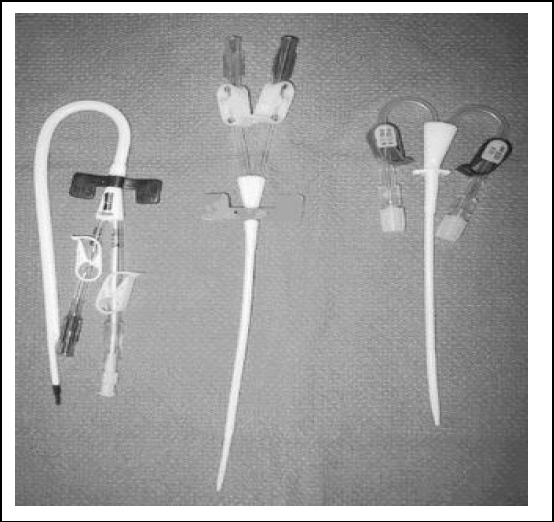 Diuresis renography aids in differentiating urinary obstruction from unobstructed dilatation. 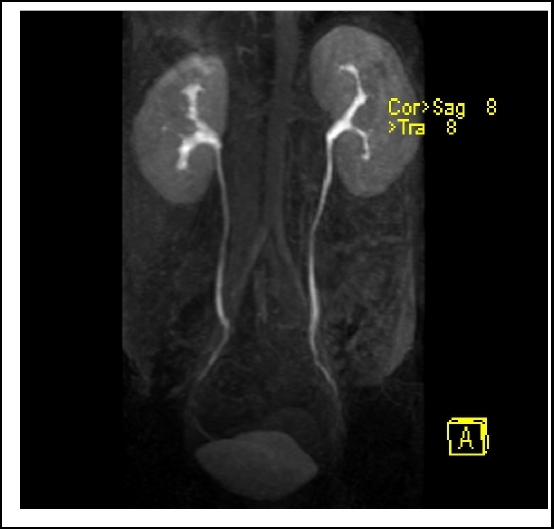 Renal scintigraphy is a valuable tool in the observation of grafts after renal transplantation. In this review, the basic aspects and major clinical applications of renal scintigraphy are discussed. Over the last decade, state-of-the-art magnetic resonance MRI has become a valuable partner in the clinical imaging arena to tackle a wide variety of kidney diseases in a non-invasive manner, mainly due to its high tissue contrast and multiplanar imaging capabilities. Paramagnetic contrast agents have further improved the performance of MRI of the kidney since their administration seems to be applicable in virtually all patients, irrespective of their age, renal function and their ability to cooperate. Moreover, MRI is particularly helpful for further differentiation of lesions that are equivocal on CT and/or ultrasound. Further technical developments of applied MR-techniques and further improvements in spatial resolution will expand the imaging possibilities and create new tracts and challenges in the MRI evaluation of kidney disease. An overview of the current status of MRI in the diagnosis of renal abnormalities, which includes description of technique and normal anatomy and congenital variants, is given. The benefits of MRI in diagnosing diseases of renal parenchyma mass lesions such as cysts, renal cystic diseases, and benign and malignant tumors is reviewed. Furthermore, the MRI diagnosis of vascular diseases, diffuse renal parenchymal diseases, renal infectious diseases and the pathology of the renal collecting system will be discussed. Percutaneous renal biopsy is a valuable tool in the definitive diagnosis of a variety of kidney diseases. Advances in the design of biopsy needles as well as the availability of real-time ultrasound guidance for the procedure, has greatly reduced complication rates. In this review, we summarize the contemporary practice of real-time ultrasound-guided percutaneous biopsy of the native and transplant kidneys. Practical tricks in enhancing this method of biopsy are presented. Non-percutaneous techniques in specific settings are also discussed. Central venous stenosis is usually due to previous catheter insertion in the subclavian vein or internal jugular vein. These patients usually present with swelling of the arm bearing the arterio-venous fistula and adequate hemodialysis is not feasible. Endovascular treatment includes balloon angioplasty and stenting, but there is early recurrence of stenosis. Balloon angioplasty is the first treatment of choice. Stent may be used if there is elastic recoil after angioplasty or there is recurrence of stenosis within three months after angioplasty. 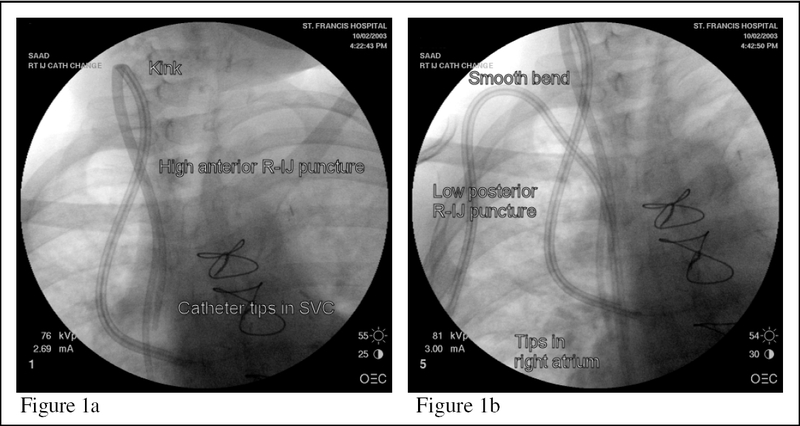 Endovascular irradiation and stent graft do not prolong the patency. The results of newer technique, like drug eluting stent and cutting balloon, have to be evaluated. Interventional radiology is one of the fastest growing branches of medicine. Successful interventional radiology started in Egypt in 1982 by dilating narrow arterial segments using balloon catheters. There are three domains in nephrology in which the interventional radiologist can help: a) The renal fossa, b) The renal graft complications, and c) The malfunctioning hemodialysis blood access. In this report, there will be a review of the clinical application of the different radiological procedures that include our own experience. The interventional radiology in the renal fossa includes the following procedures: renal artery dilatation and renal artery embolization. 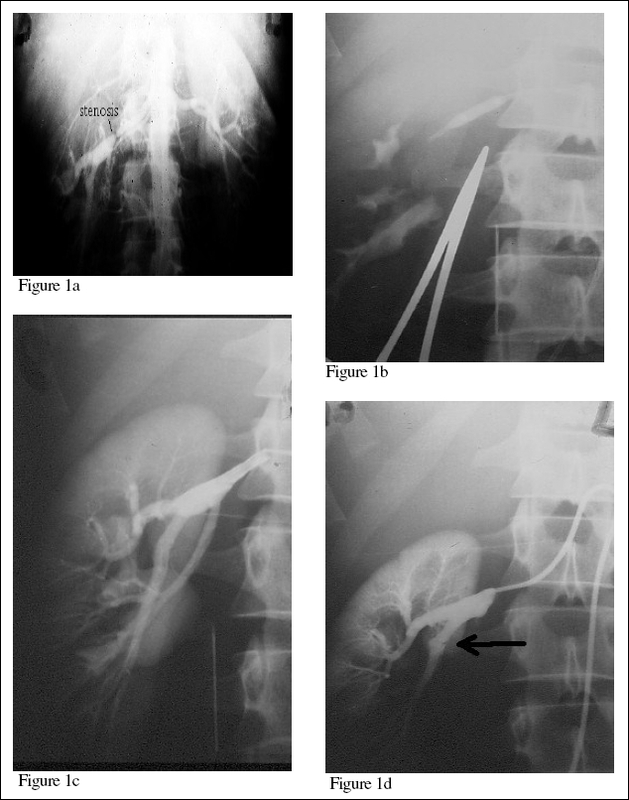 The interventional radiology in the management of renal transplant complications includes: graft artery stenosis, arterio-venous fistulas, drainage of lymphocele and ablation of native kidneys. The interventional radiology can be very helpful in the correction of the malfunctioning hemodialysis shunts besides the insertion of temporary hemodialysis catheter. 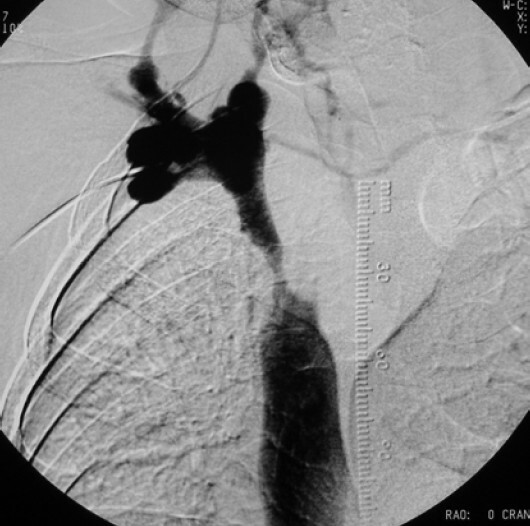 Renal artery aneurysm is an uncommon clinical occurrence. We report a 32­year-old lady with refractory hypertension who was found to have renal artery aneurysm. 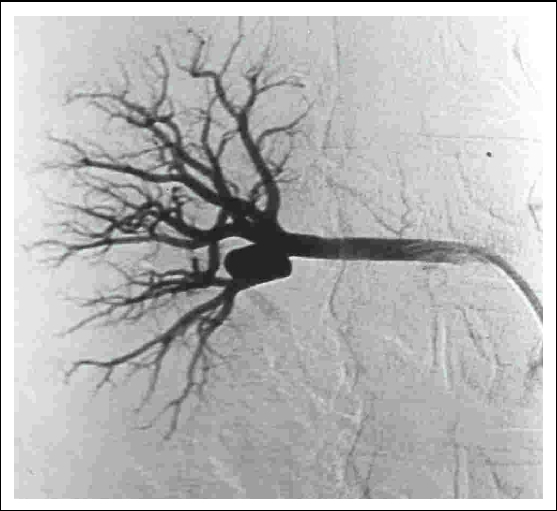 After a long clinical course, the aneurysm was successfully treated with coil embolization.